Joe explains the painful story of how Ron Levin’s scam led to the loss of all of his investors’ money. Transcript: I was trading at a place called Cantor Fitzgerald for some of my investors, which included the May brothers, and some other people. And I had some of my own money there, and Dean had some money, Ben had some money, and so we were trading commodity futures, contracts for Cantor Fitzgerald which was a local brokerage house that had an office in Beverly Hills. Anyhow, I saw the opportunity, I was also trading for Ron Levin through first Rauscher Pierce Refsnes, a regional commodity house, and then Clayton, so how I was trading for them and what was actually going on there is an interesting and complicated story. But setting that aside for a moment, I saw the opportunity to go long, to keep on futures contracts. I thought it was going to be a big move, the interests rates were going to go down which would have meant that future contracts would have gone up. So I told Levin about it. We had made some money already in the accounts that had been set up with Levin. I was owed around a million dollars at that time since my deal with Levin. So I said to him look, I see this opportunity and I’m going to be buying stuff for my other clients and I’m going to buy some of the account for you, but I’d like to be paid what’s owed me under our contract right now. I said, is there going to be a problem getting me a half a million dollars of a million owed by Friday? This was on a Monday. He said no problem, and I said well, I’m going to be putting on accounts, I’ll be putting on trades for my own account and for my investors. Is there going to be any problem getting that money by Friday? And he said absolutely no problem — go ahead and do it. So I put on a bigger position than I had cash for margin at Cantor, and I also put the position on for Levin. Anyhow, of course Levin didn’t pay. I’m sure he had absolutely no intention of paying, just why he would say that after I told him about the context, I don’t know. It was just part of the cruelty of Levin back in those days. This is like 1983, I believe. Anyhow, so, the money is not forthcoming and on Friday, Cantor Fitzgerald wants their money, because that’s business, and margin call’s due that day. So it was a five day call period back in that time. Anyhow, I didn’t have it, if the position had declined a little bit it wouldn’t have been a problem had I had the half of million, but the result was they sold it, which was there right and was particularly appropriate. And he moment they sold it in the morning when they blew the position out it was declining at that point. The result was that my investors’ money had been wiped out. Again, if I had the half of million dollars the position would have been sufficiently margined and that sale would have never occurred. Anyhow, as luck would have it, I was right, and (futures) took off and went on this historic run from what I think was fifty-five to eight-five which was a huge move. Interest rates declined substantially. Now the position, the notional position, that would have been taken on in the Levin account went on to make millions but my investors had lost their money and this was the point at which the BBC shipwrecked which is rather than just straightforwardly telling the outside investors that money had been lost, I just couldn’t emotionally deal with having that conversation. And since Levin was promising, and had a bunch of excuses and was promising to pay, I thought there is no reason to tell them. I’ll just tell them that everything is fine. In fact, I’ll tell them that everything is going well, and when I get this money from Levin, I will restore the funds that had been lost by the investors and give them a profit. Now, it’s easy to say at this distance, but the truth was, I couldn’t have cared less about the money at the time. I was just emotionally incapable of facing these people and telling them that I had lost their money. I knew their money was important to them. Some of them were like widows and orphans investors. There was scholarship money for their children, or money for their children’s tuition for college, money for health matters and stuff like that and I just couldn’t see facing them, so I made a spectacularly stupid mistake and told them everything was cool. And it wasn’t cool. Video: Joe Hunt explains why he should have been acquitted of robbery. Joe Hunt explains why he should have been acquitted of robbery using the “Claim of Right” legal doctrine, which exempts people who are reclaiming what is rightfully theirs. Collecting on a legitimate debt is not a robbery at all, because you lack something called the animus furandi of robbery, which is the intent to take property belonging to another. It feels pretty technical but it affected me and it had really harsh repercussions on my life. I was charged and convicted of a robbery, and one of theories is that I came in and I had extorted a check for 1.5 million dollars from Levin. Now unfortunately, my attorneys, at that trial in 1987, their legal education did not extent to something called the Claim of Right Doctrine, which was common law defense to allegations of robbery in California and throughout the United States. That you are taking back from somebody your own personal property or collecting on a legitimate debt is not a robbery at all because you lack something called the animus furandi of robbery, which is the intent to take property belonging to another. So lacking that mental state, you can’t be convicted of robbery because that is now is a stated element of robbery in law. So for example, you know back in the 1800s if somebody took your horse, if you pursued them and shot them, you might be guilty of manslaughter or murder, but you wouldn’t be guilty of robbery, because it’s your horse. Now under the state’s theory, Levin owes me 4 million dollars and that is something that he acknowledged publicly and to prosecution witnesses. The state’s theory was that I was seeking to force him to pay me what he owed me from a legitimate business transaction, that being the case, the jury should have been instructed on the Claim of Right defense. And had they been instructed, given the fact that the prosecution theory was as described, I would have been acquitted of robbery. Unfortunately, when this issue was raised, it was considered too late to have anything done about it, due to certain legal procedural rules. 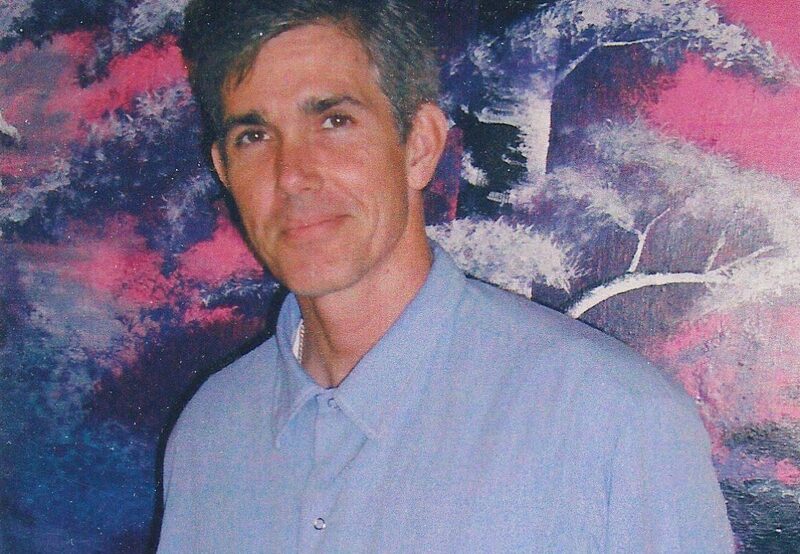 Meet Joe Hunt, who will turn 59 in prison after a biased judge and incompetent defense attorney helped put him there. Joe describes the case of 12 gang members who all received life sentences because they were in a van with one gang member who spontaneously decided to pull a trigger. So you have a number of people that are in prison who never did anything that shows a sort of moral abandon or depravity to justify a death in prison sentence because that’s what life without is. It’s death by imprisonment sentence it’s a slow death, 60 years in the case some of these of men that were locked up earlier 70 years in prison. They were peripheral characters in a crime that spiraled out of control that wasn’t conceived at the beginning to take another person’s life and in there because a lot of these guys were teenagers at the time of the incident that gave rise to their life sentence. They didn’t really have the maturity or clarity to recognize that their behavior could have resulted in the taking of another person’s life but they might have participated in a whole several robberies with assurance being given by all concerned that no one is going to get killed and we are just going to show the gun to intimidate them and then sitting in a getaway car being a wheel man and the guy who goes in actually shoots somebody much much to their shock and in some cases indignation of the base men. I worked on this one case where there twelve guys in a van. They were Vietnamese and they were being pursued by a car filled with rival gang members, this call and your telephone number will be monitored and recorded, when suddenly one of the guys in the van was not talking about it or discussing it with anybody else because one of the guys in the van became a state witness, that witness describes what happened as one of the guys just suddenly jumps out of the van and runs up to the car of the pursuing gang people and opens fire. They all, all people all the 12 people in the van end up getting charged under the national and probable consequences doctrine with the murder. Even though they hadn’t agreed to this behavior and when the shooter gets back to the van they immediately, all the people in the van according the state’s own witness said what the hell did you do you just go off and do that without talking anybody and they were so mad they were considering shooting that guy for what he had done. Nevertheless, they all got life sentences for that so that’s the sort of anomalies that can occur because of these inflexible murder doctrines and aiding and vetting doctrines. They cast a really wide net and a lot of the people that are caught with these life without sentences and life sentences are there because of vicarious liability and they don’t deserve it it’s really not defensible in their case. I say that not speaking — because obviously I’m not the conscience of society — but you know its generally recognized that California in particular has a much harsher penological regime then anybody else in the entire civilized world. I mean there’s more people doing life without in California then there are in the whole rest of the world so far as the statistics show, and so per capita, the per capita statistic, it’s just off the chart. So it’s something that I feel having met some of these men that are now 20, 25 years older 30 years older and are scheduled to death for death in prison that it should be looked at. It is an injustice because they never actually made a conscious decision to take another person’s life willfully or deliberately or intentionally. Parole boards base their decisions on whether or not a person poses a threat to society. Joe Hunt argues that his three-decade documented history of nonviolence, even under the “pressure cooker” of prison, proves he poses no threat of future crimes. I recognize that the whole issue of whether I’m guilty or not, from a perspective of a third party who didn’t live my life, and obviously can’t recall something that would exonerate me, because they weren’t there. And perhaps they weren’t even alive then, they were born subsequent to my arrest and conviction and the events described. I recognize that, there’s no way they can look through all of this and know for sure one way or the other. So what I would say is that what I want them to think about is that I’ve been in prison now for 31 years. And I did some years in county before that, county jail, and during that whole time that I’ve been in custody, I did not get involved in any sort of violent interaction with other prisoners. I have absolutely no write ups for violence or for drugs or any of that kind of serious misbehavior. So prison is just like its shown in the movies like there’s, that’s something that Hollywood does justice. The prison movies that show the gang life and the violence and active main life which is where I have been living over the years. It’s accurate. That’s the way life is. It’s a pressure cooker. People are often at their worst and the fact that I have been able to live under that environment and walk a path of peace and non-violence, I think says something about who I am right now. Regardless of whatever did or didn’t happen in 1984, just setting that aside for the sake of argument, the question then becomes for society to consider: Is it okay a person that has obviously made a commitment to non-violence and to living a moral and decent existence even under the harsh circumstances of prison — should that person be considered for parole? And I hope when it comes to that question, that people say yes that person is worthy of consideration for parole. You know, whether I should actually be paroled would be decision by the board of prison hearings, but if my sentence is commuted, I’d be eligible for that consideration, and then society’s representatives can decide whether, based on my life in prison, in my last 30 years, I represent a threat to society. Most people don’t realize that’s the core criteria about whether people are paroled or not. It’s a criteria of the evaluation of future endangerment. So the question is, is this guy who is almost 60 now, is he a threat to society? And I would think that even my worst detractors, the people who just align with the prosecution theory, would recognize that I am not a threat to society, that the circumstance that they alleged to have occurred and the motivations, and the whole complex interaction between this notorious con man Ron Levin and the BBC — which was an unusual occurrence in and of itself — that whole bizarre incarnation of circumstances is not going to be reproduced. I’m not like some guy who is accused of doing a series of home burglaries because I got a habit a heroin habit and I’m trying to get drugs. I’m not a person who has been diagnosed with some mental disorder that causes them to be vicious and I’m not a person who is accused of having some qualities or characteristics that makes me a predator. So at the age of 60, I think, objectively speaking, there’s just no other future dangerousness. I think that that supports the decision for commutation and for potentially parole. That’s a life parole. Whenever you get paroled on a life sentence you remain under supervision, under a watchful eye, for the rest of your life. For Joe, this isn’t a game, but his real life. 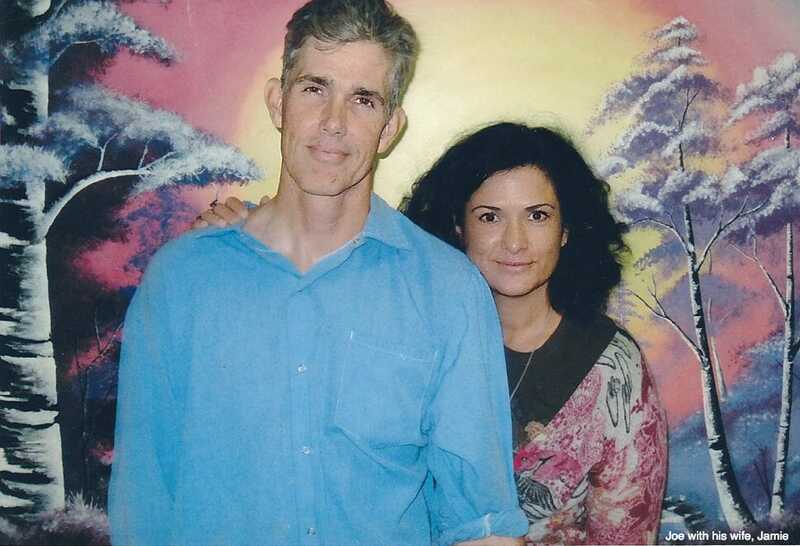 After more than thirty years in prison, he had a ready answer to the question. I want to go to the beach with my family, my wife, and a few close friends. When I was growing up, my mother used to take me to the beach with my siblings. My brother and my sister, Catherine. I mean, if they could both be there, that would be wonderful. But it would be the beach because I have so many wonderful memories of my mom – may she rest in peace – and our family before all the years of trouble. The beach is the complete opposite of prison. It’s wide open in all directions… And of course, the natural forces – the tides, the winds, the sun, and everything is in contrast to prison. Life in prison, which is structured so that it is bars, it’s unforgiving. So yeah, it would be the beach with friends and family.